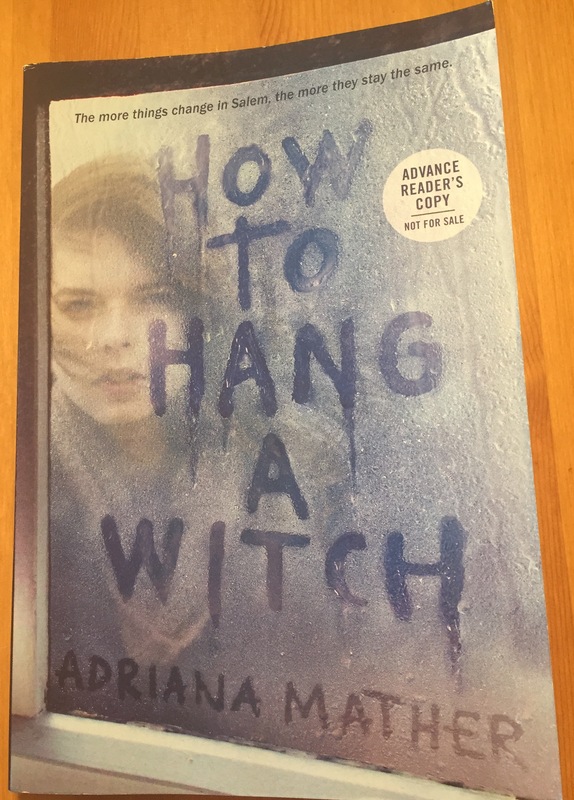 How to Hang a Witch by Adriana Mather… yes as in Cotton Mather’s great, great, great, great, (you get the picture) granddaughter. And for those of you who don’t know Cotton Mather was instrumental in the Salem Witch Trials. Adriana Mather does an excellent job of bringing a new twist on one of the oldest witch stories. Samantha Mather, Sam, recently moved from New York City Salem because of her dad. Sam and her stepmother are not exactly welcomed with open arms. Sam is the descendant of Cotton Mather, one of the men responsible for those trials and almost immediately, she becomes the enemy of a group of girls who call themselves The Descendants. And guess who their ancestors were? To make matters worse, people in Salem have started to mysteriously die since Sam’s arrival. Can Sam clear her name and find out or who the real cause is? Or will she need to prepare herself for a witch trail? I loved every minute of this. It’s not a short book, but it feels like it, such is the tightness and pace of the plotting. (Why can’t everyone write like this?) Side note, I’ve been to Salem several times and this book will make you feel the ghosts of Salem tugging at your sleeves while you read it. The only thing better penned than the atmosphere is the characters. They are vibrant, flawed, vulnerable, achingly real and honest. You’ll have no trouble believing they are real. How to Hang a Witch comes out next week, July 26, 2016. This entry was posted in Ghost, Historical Fantasy, Witches, Young Adult and tagged Adriana Mather, How to Hang a Witch, Salem Witch Trials, Witches, Young Adult. Bookmark the permalink.